Cruising through the picturesque Bernese Oberland by electric tourist train. Enchanting chalet in Gstaad, Switzerland. 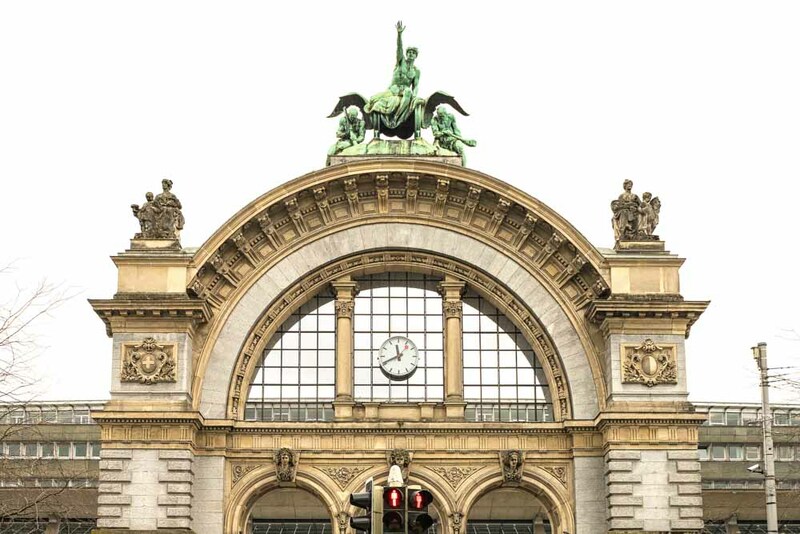 Lucerne’s grand train station. Switzerland. Passing lakes, Alps and meadows, a Switzerland train journey through the Bernese Oberland allows you to sit back and watch the scenery roll by, writes Linda Moon. After taking in the delights of the fairytale lake city Lucerne, I’m standing at its train platform bound for my next adventure. My end destination is the Alpine village and ski resort of Gstaad, 134 kilometres to the west through the picturesque Bernese Oberland. The GoldenPass Line, a rail route between Lucerne in Central Switzerland and Montreux in the Lake Geneva region, offers one of the best ways to get from Lucerne to Gstaad, taking about three hours. Named one of the country’s best train trips by Swiss Travel System CEO Maurus Lauber, the route promises panoramic vistas of hinterland lakes, dramatic mountains and more, all in laidback comfort. As different railway companies operate the trains on the GoldenPass Line, I’ll be boarding three separate trains to reach my destination. 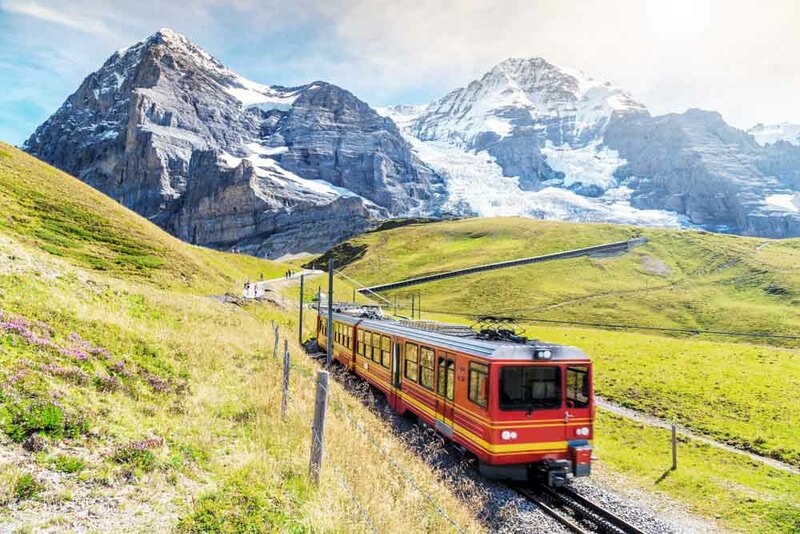 While it sounds tricky, the journey is made easier with the Swiss Travel Pass – this can be pre-ordered online or purchased at railway stations throughout the country. According to Lauber, “it’s one ticket for the whole country” and the pass includes all bus, train and boat trips, plus 50 per cent off mountain railways (another bonus is that it provides free access to more than 490 museums around the country). According to Lauber, the Swiss are in love with travelling by train: the Swiss Travel System boasts the densest public transport network in the world. Working out my train itinerary proves fairly easy. This can be done at the tourist information offices at any major railway station or Bahnhof in the country, or you can plot your schedule online at the user-friendly Swiss Federal Railways site. The first part of my journey starts on the Luzern-Interlaken Express, where a handsome employee helps me get my heavy suitcase aboard. As the train glides away, I’m pleased by the immaculate, modern, air-conditioned interior. Expansive glass windows allow unfettered views to the outside. There’s a restaurant onboard and remarkably clean, roomy toilets. Passing through the Brünig mountain pass and along the shores of lakes so blue they seem enchanted, we arrive at Interlaken – the first changeover point – almost two hours later. Located in a valley between the lakes of Thun and Brienz, and shadowed by the Bernese Alps, Interlaken is one of the most striking parts of the country and the intersection of three major railway lines. There’s only five minutes to change platforms, and lugging my gigantic suitcase up and down staircases proves challenging. Puffing, I board the RegioExpress, a regular but still comfortable fast train. Skirting the shores of Lake Thun and the hills of the Simmental valley, another hour or so passes easily. At Zweisimmen I board the GoldenPass Panoramic Fast Train for the final stage. Beyond the window, church steeples rise and tiny villages lie in what seems precarious positioning beneath mountain peaks fringed with dark fir forest. Dotted with apple trees and farmhouses, splashed with geraniums and torn by streams and rushing rivers, the green countryside is clothed in all its summer glory, but it is said to be equally lovely in any season – which I can easily believe. Essentially a quick, fly-by overview of the region, trains are a mode of travel that best suits those who like to relax and enjoy the scenery, or travellers on a deadline who want to get from one part of the country to another in the easiest, quickest and most reliable manner possible. Twenty-five minutes later I alight at Gstaad, a peaceful rural stop deep in the Swiss countryside far from the madding crowd where birds chatter in the sun amongst the flower boxes of its traditional chalet buildings. 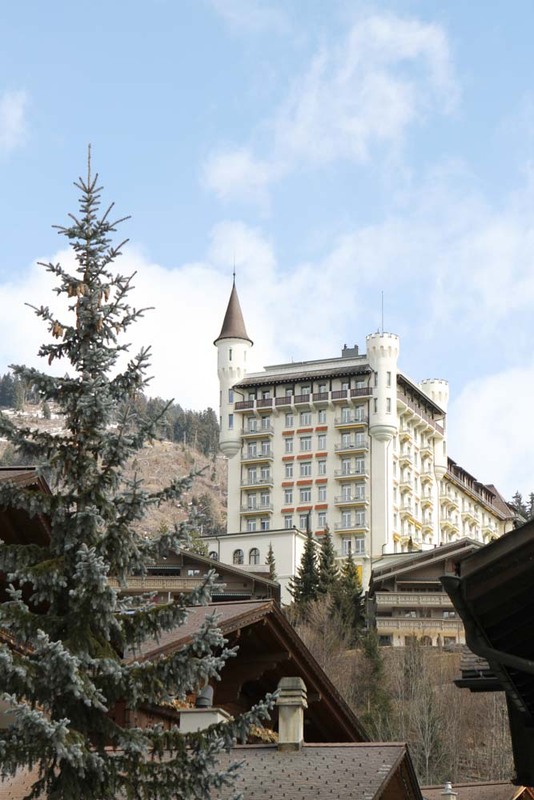 A castle and great mountains (including the impressive 3237-metre Wildhorn), loom large over the village façade. Stretching my legs and drawing in the country air, I walk towards my guide, relaxed and revitalised by my journey and ready to see what Gstaad has to offer.